More resources can be found in the Members Area. 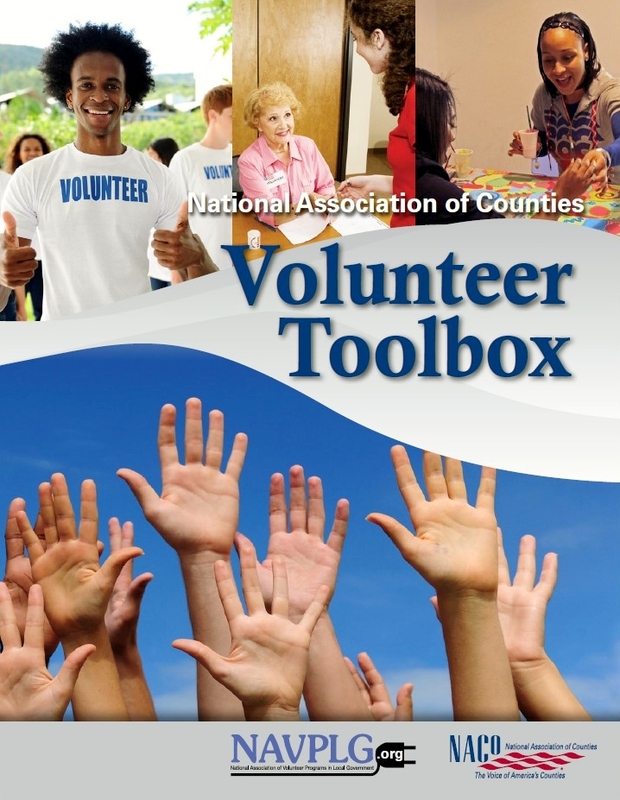 This update of NACo's Volunteer Toolbox provides information about establishing a governmental volunteer program, volunteer liability/legal issues, managing a volunteer program and volunteer roles as well as provides resources to city and county governments. operations, volunteers enable local governments to provide more services to residents. programs that have enhanced operations through cooperation between citizens and paid employees. Concerned about whether you can view an electronic book?